For over fifty years, we have offered our clients a personalised service at partner level, distinguished by our professionalism, expertise, energy and ability to manage our skills and qualities for their benefit. The firm's mission is to continue to deliver, at partner level, commercial and innovative solutions for clients, suitably tailored to their individual needs and requirements. We have always followed a differential strategy based on our strengths and core competencies. Located in the heart of the West End of London, the firm is well placed to service the needs of its local, national and international clients. 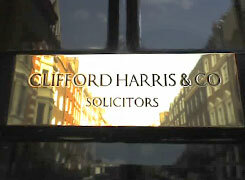 We have moved to 58 Queen Anne Street, London W1G 8HW.